Christmas equals fudge. Am I right? Yes, don’t argue with me! 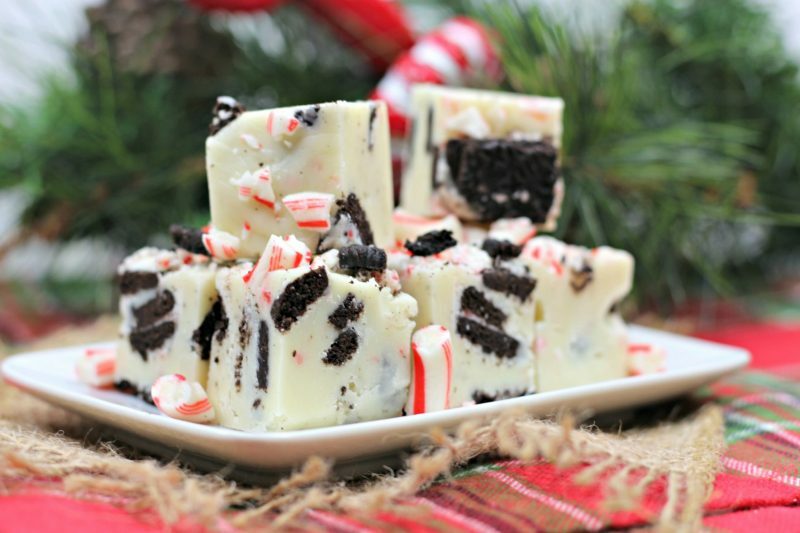 I’ve got a delicious fudge recipe that you’ve got to try: Candy Cane Oreo Fudge. You may have an old family recipe passed down through generations, or you may make the fudge recipe on the back of the marshmallow creme jar. Your fudge of choice might be chocolate, peanut butter, white chocolate, you name it. 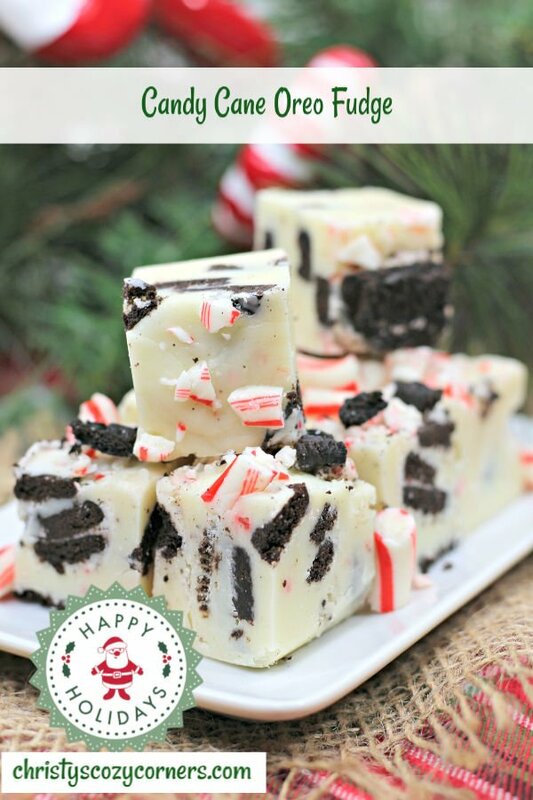 But I highly suggest this yummy Candy Cane Oreo Fudge Recipe! 20 Peppermint bark Oreo cookies, chopped. Set aside 1/2 C for topping. Allow to harden overnight before cutting into squares. 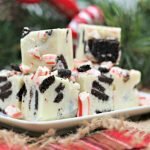 This Candy Cane Oreo Fudge is a recipe that you're going to want to take to all of your holiday gatherings every year! It's a recipe you'll be passing down for the generations to come. Line an 8 X 8 baking pan with parchment paper, and set aside. The times are approximate as are the number of servings. You can cut these as big or as small as you like! You'll know when the fudge is ready to be poured into the pan when it is smooth. My Christmas memories always include food, particularly Grandma’s fudge. I know a lot of my memories of my grandma involve food! It’s probably because grandmas love to comfort their grandchildren with food. 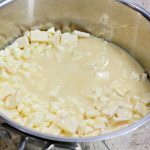 One of the first recipes I copied down of my grandmas was her Fantasy Fudge. Little did I know, but it was the recipe on the back of the marshmallow creme jar! Do you have any memories of a special recipe one of your family members always made? 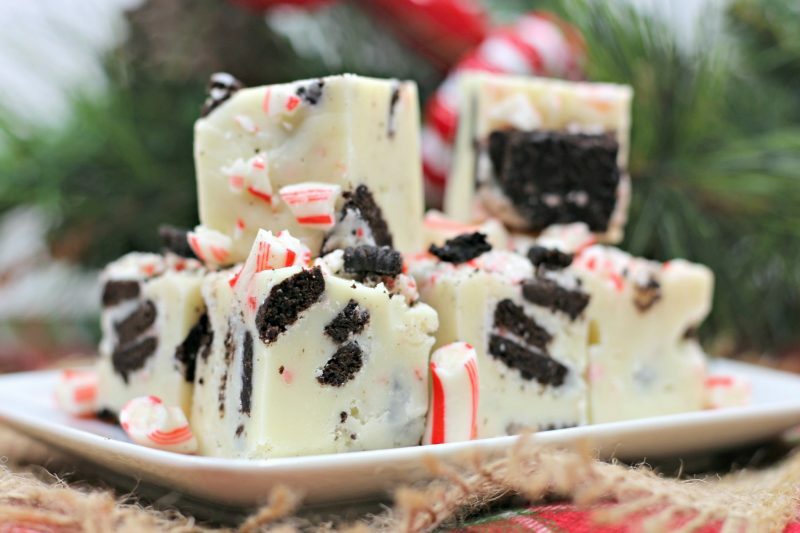 I suggest you make this Candy Cane Oreo Fudge recipe with your kids or grandchildren. You can make your own memories. Who knows? 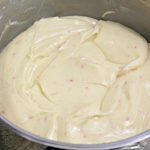 Maybe this recipe will become one that you pass down and your grandchildren will make this every year. Looking for more sweets and treats? 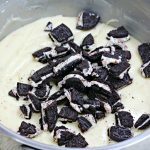 Check out my desserts recipe page. This candy cane fudge looks delicious. Never heard of a recipe for this kind of fudge. Can wait to make it , Good idea for a Christmas gift too. Is it wrong to just make this for myself!! I don’t want to share!